TaiwaneseAmerican.org is proud to be a Bronze Sponsor of this film festival featuring 7 critically-acclaimed feature-length films; 5 inspiring shorts; 2 award-winning directors from Taiwan; AR/VR experience. The Seattle chapter of Taiwanese American Professionals (TAP) is proud to host the first Seattle Taiwanese American Film Festival on Friday June 29 – Sunday July 1, 2018, at University of Washington and SIFF Uptown Cinema. The first of its kind, the Seattle Taiwanese American Film Festival, in partnership with Vancouver Taiwanese Film Festival, presents seven feature films representing the best in recent Taiwanese and Taiwanese American cinema. The theme for the Festival is Family and Home(land). Opening Friday evening with a series of short films at the University of Washington’s Kane Hall—in partnership with the UW Taiwan Studies Program—the Seattle Taiwanese American Film Festival honors films selected from the best submissions to the 2017 Los Angeles Taiwanese American Film Festival. The Festival aims to be a platform for Taiwanese American film producers to showcase their talent. The Opening Program is free to the public and a panel discussion will follow the short films. The UW Panelists include Professor Yomi Braester, (Belinda) Qian He, and Ellen Chang. The Festival will also bring award-winning directors Li-chou Yang (Father) and Charlie Chu (Formosa 3D) all the way from Taiwan. They will participate in a Q&A session following the screening of their movie. Chen Hsi-huang is the eldest son of Li Tien-lu, the renowned Taiwanese glove puppeteer. Director Yang’s Father is a documentary of Taiwanese puppetry master Chen Hsi-huang’s struggle to promote his trade at the age of 79. Taiwanese puppetry, once a national pastime, faces decreasing audiences in a modern world more fascinated with screens than wooden stages. 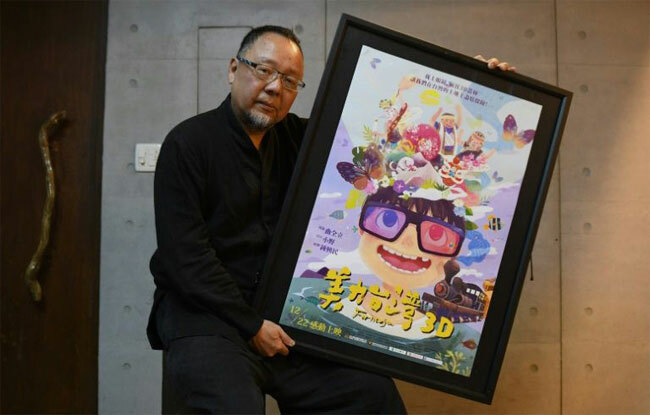 Director Yang will also bring Augmented Reality (AR) and Virtual Reality (VR) equipment from Taiwan that will allow festival-goers to experience traditional Taiwanese puppetry with modern technologies. Yang hopes to preserve Master Chen’s techniques and hand motions for future generations using film and VR. The AR and VR experiences will be available to attendees during Friday’s Opening Program as a precursor to Saturday’s film screening. US Premiere. On Sunday, the Festival will screen Formosa 3D, a groundbreaking 3D film showcasing Taiwan’s lush beauty and traditional crafts. Stunning scenes include a vibrant underwater world, a mountain landscape, and prominent artisans such as the oil-paper umbrella master and the drum-maker. Formosa 3D presents exquisite scenery and traditional craftsmen to remind us of the beauty of Taiwan. Through the lens of 3D, the audience will see a vivid display of Taiwan and its distinct culture. Following the screening, Director Chu will participate in a Q&A session and share his inspiration for filming in 3D. The Festival will also feature The Bold, the Corrupt, and the Beautiful, which won for Best Feature Film and Best Leading Actress at the 54th Golden Horse Awards—the premier awards for excellence in Chinese-language cinema in Taiwan. Other films include Pakeriran, Take Me to the Moon, The Great Buddha+, and Journey of 35. All non-English language films will be presented with English subtitles. For tickets and festival information, visit the festival homepage at www.seataff.org or check out the latest news on fb.me/SeaTAFF. About TAP-Seattle: TAP-Seattle is a local Seattle organization dedicated to providing a platform for young professionals to find community through networking. TAP is a registered 501(c)(3) non-profit through its parent, the Taiwanese American Citizens League. More information about TAP-Seattle can be found at www.tap-seattle.org.